With its particularly mild winter, consistently warm temperatures throughout summer, 20% less-than-average rainfall during the growing cycle and a cool, dry northeast wind in August and September, the 2002 harvest has gone down in Champagne history books as one of the very best. Given that Louis Roederer Cristal 2002 and Cristal Rosé 2002 have consistently been celebrated as the ultimate expressions of this legendary vintage, it is perhaps no exaggeration to say that they are the best of the best. Their accolades and widespread critical acclaim speak for themselves. The blanc has been scored 19/20 by Jancis Robinson MW, awarded a near-perfect 99/100 from Essi Avellan MW and picked up the Supreme World Champion trophy (from magnum) at the 2016 Champagne and Sparkling Wine World Championships. Many critics have described it as not just the greatest Cristal vintage ever – but the best vintage champagne. Ever. Although it seems hardly possible, the rosé has an even better track record. Having received a spate of 100/100 scores from critics including Peter Liem, Joshua Greene and Essi Avellan MW (who has declared it her all-time favourite), Cristal Rosé 2002 also won the Supreme World Champion trophy (from bottle), this time at the inaugural 2014 Champagne and Sparkling Wine World Championships. Therefore we were particularly excited when Louis Roederer revealed that they kept some original disgorgement bottles of both Cristal 2002 and Cristal Rosé 2002 in their cellars in Reims (undoubtedly aware that we’d drink them all if they didn’t) to be re-released at a later date. These special bottles were aged on their lees for 6 years (7 years for the rosé) and disgorged in 2009 (2010 for the rosé), after which they were put back into the cellars for a further 8/9 years of bottle ageing before being re-released into the market this year. It is always fascinating to re-discover vintages of Cristal that have been left to mature in the cellars after being disgorged. Now 9 years post-disgorgement, this Cristal has taken on a whole new dimension and the finish is reminiscent of a fine white from Burgundy. Such a lovely rich nose with bananas and pineapple coming forward. Great richness and the fruit makes the dosage seem very low. Elegant lightness and extremely seductive! The 2002 Cristal (Re-Release) is just as arrestingly beautiful as it has always been. Exotic, powerful and sensual, the 2002 is just starting to show all of its cards. The 2002 was magnificent when it was first released. Since then, it has only grown in breeding. 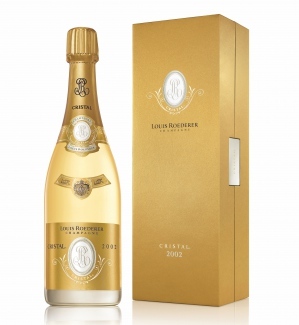 In this vintage, Cristal is silky, sensual and open-knit, with enveloping fruit and striking textural resonance. It’s great to see the 2002 showing so well. I had high expectations when it was first released, and those expectations now appear to have been more than justified. 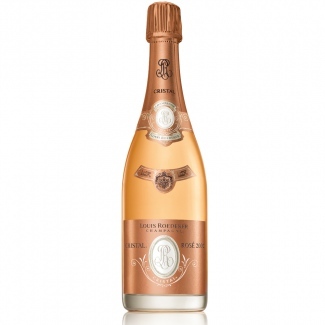 Louis Roederer Cristal 2002 Re-Release and Louis Roederer Cristal Rosé 2002 Re-Release are available to purchase now. Soft and juicy and how do you describe this?! A dense and concentrated texture with a smooth mouthfeel, chalky freshness and a saline finish that gives it a distinctively pure style. Just so lush, delicate and rich and wow, such length! As hard as it may seem to believe, the 2002 Cristal Rosé (Re-Release) is even better than the Blanc. Utterly explosive in the glass, with soaring aromatics and tremendous palate presence, the 2002 dazzles from the very first taste. With time in the glass the 2002 grows effortlessly, showing myriad shades of nuance with each successive taste. I am reminded of the vertical I did of Cristal Rosé here a few years ago. Yes, the Rosé is expensive and rare. But it also delivers the goods. And then some.